If you’re considering learning welding or have already begun taking welding classes, chances are you’re wondering where you’ll find work once you complete your training. Where are welders employed? The following gives an overview of the five states with the highest levels of employment for welding jobs. Salary and employment numbers are based on U.S. Bureau of Labor Statistics (BLS) data from May 2015 for welders, cutters, solderers and brazers (51-4121). 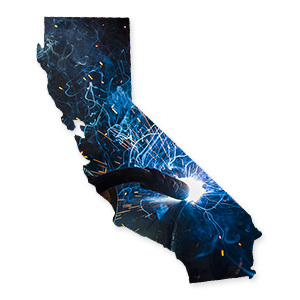 California is home to 27,070 welders. The annual mean wage for these welders is $42,970.i It has the second highest level of employment of welders in the United States. The water infrastructure the state relies on is aging and in need of skilled repair work. Other employment opportunities can be found in the manufacturing sector. In fact, Bakersfield is of the top paying metropolitan areas for welding. The annual mean wage for these welders is $53,260. The steel industry once dominated Pennsylvania. Oil and gas starting making headway, as companies started drilling. As the oil and gas industry has fallen, fracking although controversial has been endorsed as an alternative to coal, and Pennsylvania has been leading the way. 2 This may create opportunities for welders with the right welding training and the willingness to work on pipelines throughout the state. 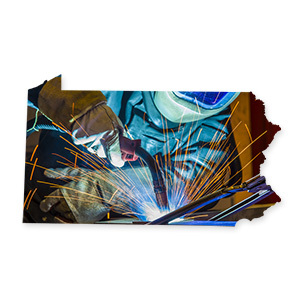 At present, Pennsylvania has 18,060 welders and the mean annual wage for those in this profession is $40,510. 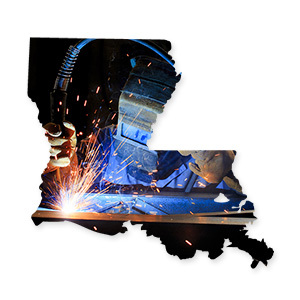 There are a few good reasons to be a welder in Louisiana. It has one of the highest levels of employment for welders, and the annual mean wage of $44,370 is higher than the national average. In fact, Baton Rouge has one of the highest levels of employment in a metropolitan area making an annual mean wage of $44,910. Overall, Louisiana has the highest concentration of jobs than any other state. 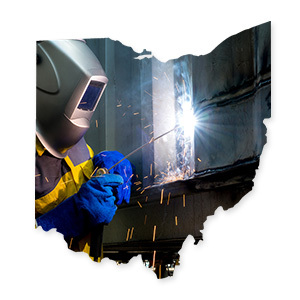 Ohio has the fifth highest level of employment for welders of 16,340 welders with the mean annual wage of $38,030. If you are a welder and not working in a big city doesn’t bother you, North Northeastern Ohio has one of the highest level of employment for a non-metropolitan area. Like looking for a job in any industry, you will want to take the time and do some research. Consider questions like which industries are hiring? How much experience do I need? How much do the jobs pay? Being a welder, you may be required to move where the jobs are as industry trends change and some locations, you may be more employable. 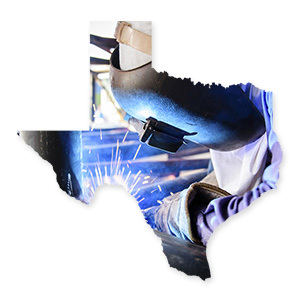 For those currently taking welding classes, check with your school’s career services to see if they have any leads in the state you want to work.